This page is dedicated to the officers who gave their lives in the performance of their duties protecting the citizens of your city. Take a few moments to reflect and thank God that they were there for you. Somebody killed a policeman today, and a part of America died. A piece of our country he swore to protect, will be buried with him at his side. The suspect that killed him will stand up in court, with counsel demanding his rights. While a young widowed mother must work for her kids, and spend many long, lonely nights. The beat that he worked was a battlefield too, just as if he'd gone off to war. The flag of our nation will fly at half mast, to his name they will add a gold star. Yes, somebody killed a policeman today, in your town or mine. While we slept in comfort behind our locked doors, a cop put his life on the line, Now his ghost walks a beat on a dark city street and he stands at each rookies side. He answered the call, of himself gave his all, And A Part Of America Died. 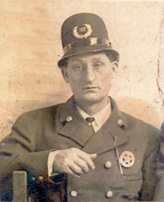 Detective Edward Morris was shot and wounded on March 31, 1901, in a railyard on the southside of Mobile. Detective Morris and Patrolman John Bressingham were attempting to arrest two escaped convicts when the incident occurred. 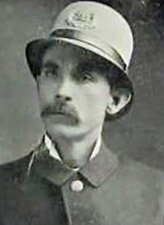 Detective Morris died of his wounds at 8:30pm on April 1, 1901. 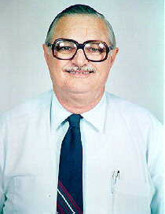 Morris was a veteran of 25 years of service with the Mobile Police Department. Detective Morris is the first documented case involving an officer killed in the line of duty since the Mobile Police Department was founded in March 1814. On December 30, 1903, at around 3:00 AM, Officer Charles Haggerty was shot and killed by an unknown person on Royal Street near Conti Street, just two blocks from police headquarters. His killer was never identified according to available records. 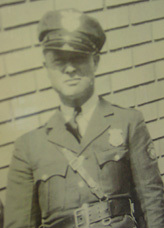 Irish born Officer Haggerty was 48 years old and had served four years with the Mobile Police Department. 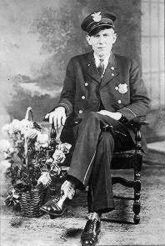 Police Officer James J. Shaw, age 28, was stabbed and killed on December 21, 1924, as he and several other officers investigated a burglary at a grocery store. Officer Shaw was a veteran of only 18 months with the Mobile Police Department. Police Officer Chris M. Dean was shot and killed early in the morning of January 22, 1926, as he was checking four suspicious men in his beat. Officer Dean suffered multiple gunshot wounds and was never able to draw his weapon. Motorcycle Traffic Officer W.F. 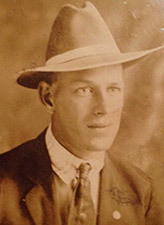 (Happy) Murphy was shot and killed on October 18, 1929 at approximately 2:00 am as he was checking a speeding automobile on Broad Street near Conti Street in downtown Mobile. The suspect vehicle was found later abandoned near Picayune, Mississippi. The automobile had been stolen in Jackson, Mississippi on October 17, 1929. Police Officer Edward P. Deford was shot and wounded on October 30, 1935 as he and his partner were escorting non-union workers across the I.L..A. picket lines near the Port of Mobile. Officer Deford was a veteran of 8 years with the Mobile Police Department. 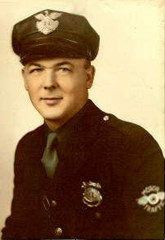 Officer Deford died on October 31, 1935 at 2:35 pm. Motorcycle Traffic Officer Cody Bettis was struck and killed by an automobile which broke through a military convoy that was being escorted through the City of Mobile on August 3, 1938 at 7::00 am. 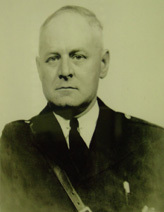 Police Officer Ollie Mason was shot and killed on June 15, 1943 at 3:45 pm as he and his partner answered a domestic complaint on South Hamilton Street. Motorcycle Traffic Officer Pierce Lee (Rudy) Reeves age 32, was killed instantly on September 24, 1944 when the motorcycle he was operating struck an open manhole on Virginia Street at Tuttle Avenue. 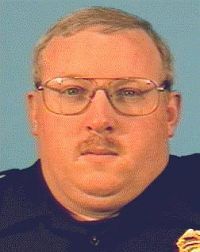 Officer Reeves was a veteran of 4 years with the Mobile Police Department. Traffic Officer Earl Royce Williams was struck and later died of injuries suffered in a hit and run incident which occurred on Friday, June 21, 1968, on the Cochrane Causeway. 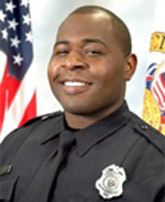 Officer Williams was directing traffic around another wreck when he was struck and injured. 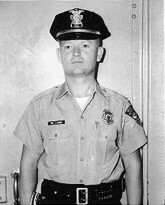 Officer Williams died on June 24, 1968. Officer Williams was 32 years old and a veteran of 4 years with the Mobile Police Department. Motorcycle Traffic Officer Joseph P. Brunson was killed when the motorcycle he was operating left the road on Howell's Ferry Road and struck a mailbox post on May 15, 1975. Officer Brunson was a veteran of 2 years with the Mobile Police Department and 7 years with the Prichard, Alabama Police Department. 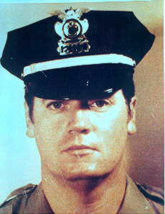 Police Officer Henry Johnny Booth was shot and killed on August 14, 1979 while attempting to arrest a wanted subject on an outstanding warrant. Officer Booth was pronounced dead shortly after the 7:55pm incident. Officer Booth was a veteran of 8 years with the Mobile Police Department. Juvenile Detective Julius Schulte was shot and killed as he answered a domestic complaint involving a missing child on April 18, 1985. 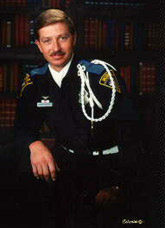 Detective Schulte was a veteran of 22 years service with the Mobile Police Department. 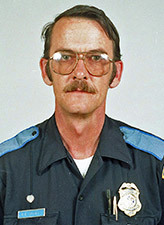 Police Office Douglas E. Kountz was killed on May 2, 1992 in a one car accident while responding to a call for assistance from a fellow officer. Officer Kountz was a veteran of only 11 months with the Mobile Police Department. Motorcycle Traffic Corporal Owen P. McClinton was killed on December 13, 1996 . He was enroute to a traffic assignment when his motorcycle was struck by a vehicle, the driver of which fled the scene. 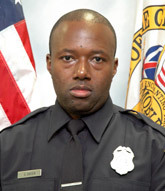 Corporal McClinton was a 12 year veteran of the Mobile Police Department. On December 23, 1996 the vehicle involved was traced and the owner admitted responsibility. He was on parole when he fled the scene. During Mardi Gras in 1993, Corporal Brownresponded to a call of a drunk male subject causing a disturbance. When Corporal Brown arrived on the scene, the subject fought him and beat his head against a cement curb. The injuries suffered by Corporal Brown caused him to experience seizures that led to his early retirement. 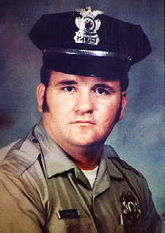 On March 23, 1997, Corporal Brown suffered a grand mal seizure and died as result. Corporal Brown was 53 years old at time of the incident and had served with the Mobile Police Department for 26 years before retiring. Police Corporal Matthew Thompson was killed on February 11, 2004, while assisting officers with a traffic accident on Springhill Ave. A vehicle traveling westbound on Springhill Ave. struck Cpl. Thompson when he was standing near a disabled vehicle that was to be towed. Cpl. 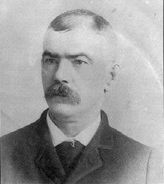 Thompson later died at the hospital. No criminal charges were brought against the driver. Cpl. 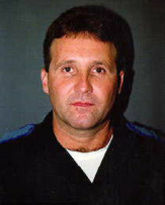 Thompson was an eighteen-year veteran of the Mobile Police Department. Officer Brandon Sigler was killed June 2, 2009 while serving as a courtesy officer at a west mobile apartment complex where he resided. He was responding to an altercation in the parking lot when he was shot and killed by an 18-year-old man. Officer Sigler succumbed to his injuries leaving behind a devoted family and fiancé. He served the Department's First Precinct for nearly two years. 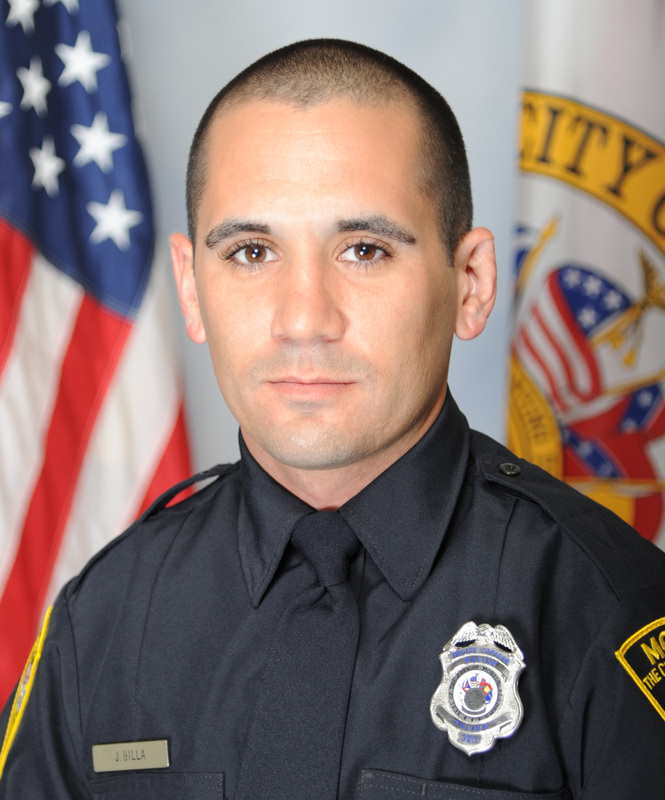 Officer Steven Green was fatally wounded on February 3, 2012 after a 24 year-old robbery suspect stabbed him at the Mobile Metro Jail facility. Officer Green was married with three children and had served the Mobile Police Department's Fifth Precinct for almost two years. On Tuesday, February 20, 2018 at approximately 9:50 p.m., Officer Justin Billa was shot and killed during a homicide investigation at the 2000 block of Avondale Court. The suspect fired multiple shots at officers on the scene and one round struck Officer Billa. Officer Billa was transported to the hospital where he later died. SWAT officers found his killer deceased inside the residence from a self-inflicted gunshot wound. Officer Billa was a veteran of only two years with the Mobile Police Department. He was 27 years old.